Leaks about the new upcoming mobile devices is a common practise, we have seen that with iPhone 7, maximum things was leaked online, from the design to features. 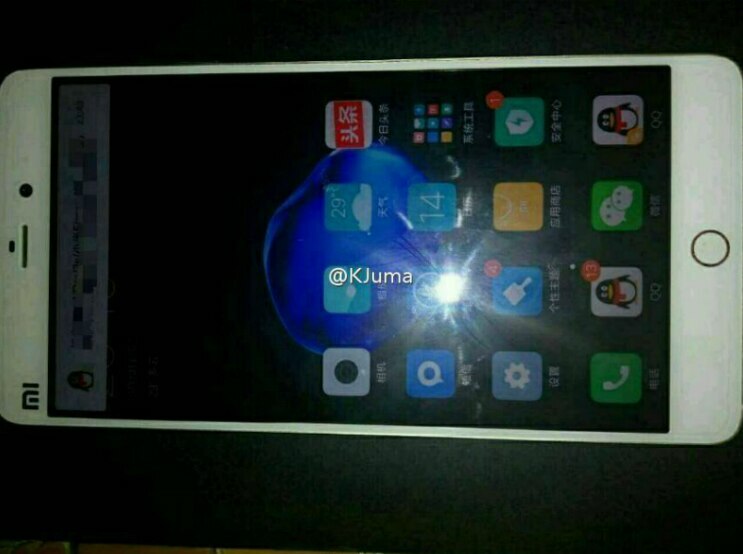 Taking that legacy ahead we have the new leaks about the upcoming Xiaomi Mi 5S. The Mi 5s, as per the leak, looks a lot like an Apple iPhone. It comes with a circular home button, below the display, that resembles Apple's Touch ID fingerprint scanner. The images, for one, show how Xiaomi may copy Apple, and secondly, these contradict a previous report that said the Mi 5s will come with Qualcomm's ultrasonic fingerprint sensor. It was said that the Xiaomi Mi 5s would ditch the home button altogether, because, well, Qualcomm's Snapdragon Sense ID lets you do that. The technology - that was unveiled by Qualcomm in March last year - essentially allows manufacturers to embed the fingerprint sensor within frames or panels, instead of relying on dedicated areas, like the home button. Xiaomi is also reported to borrow one more technology from Apple for the Mi 5s. The company is said to be working on a technology similar to Apple's 3D Touch for quite some time now. The Mi 5s will reportedly come with a 3D Touch-like feature. Rumour has it that the Xiaomi Mi 5s will come with a 5.15-inch screen, a Qualcomm Snapdragon 821 processor clubbed with a whopping 6 gigs of RAM and up to 256GB of internal memory. The dualSIM phone will reportedly sport a 16-megapixel OIS camera on the rear alongside USB Type-C port and a 3,490mAh battery with support for Qualcomm's Quick Charge 3.0.